To open a white paper, please click on the "Download White Paper" button below. The apparel and garment industry is under pressure. The disruptions that the first Industrial Revolution brought to garment manufacturing required retailers to embrace technology, and with globalization came the need for retailers to adjust business models and go-to-market strategies. Then came the infamous Amazon effect, and the nature of the game changed. The industrial Internet has created an increasingly challenging environment for SAP users. Companies are under pressure to digitally transform in order to compete. Legacy, manual labeling processes must give way to a standardized and streamlined approach enabled by modern label management systems. In this whitepaper, learn what digital transformation of on-demand factory labeling can mean for SAP users and how it enables companies to significantly reduce costs and get faster-time-to market. Increasing regulations and competition are combining to create a perfect storm of pressure on device manufacturers to fundamentally change their business operations. Forced to balance the constant price pressure and need for increased operational efficiency with the ever-increasing demands for quality, smaller medical device manufacturers find themselves struggling to compete against the corporate mastodons of their sector. Yet many manufacturers are waking up to the competitive secret weapon that is modern label management. 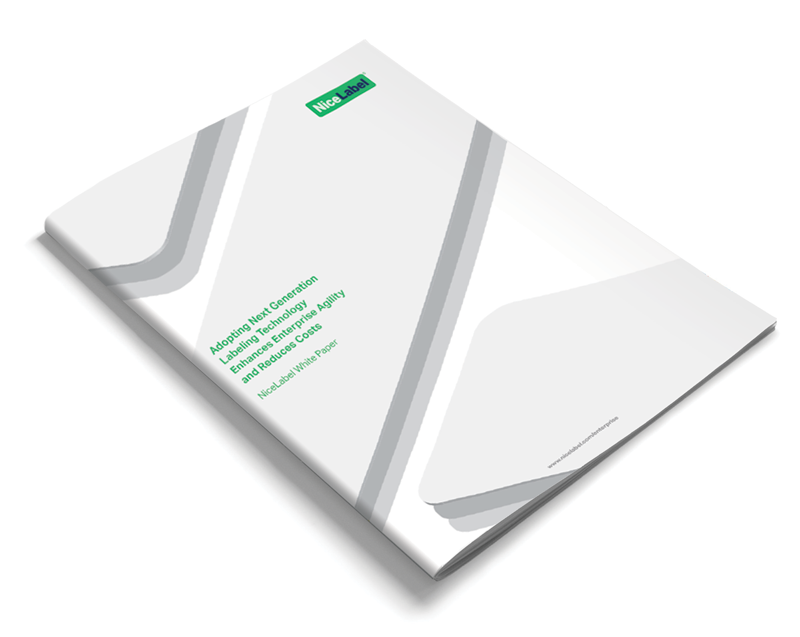 This white paper outlines four key challenges facing medical device manufacturers and demonstrates how leveraging modern label management can help these companies successfully tackle these challenges and create operations that are optimized for competing in a global marketplace. The number of challenges for the global pharmaceutical industry is perhaps higher than ever before. Competitive pressures, new stipulations from governments and regulators, products coming off patent and market pricing pressures have combined: pharmaceutical companies are increasingly obliged to seek competitive advantage through efficiency and cost reduction measures. Learn how Labeling technology offers many opportunities for pharmaceutical companies to successfully tackle rising challenges. Discover how a modern label management system can help the pharmaceutical industry improve product quality, achieve quicker time-to-market, improve productivity and reduce operating costs. The food and beverage industry is under pressure from tighter margins, global competition and increasing regulatory compliance requirements. To compete in such a challenging environment, companies must take advantage of new technologies to reduce costs, increase productivity, avoid product recalls and ensure data quality. Improved agility, increased productivity and better quality management are just a few of the gains that food and beverage manufacturers are finding from the introduction of a modern label management system. Drug and medical device manufacturers as well as companies in other FDA regulated industries are required to provide electronic records and signatures as a reliable equivalent to paper records. This white paper examines the FDA and EU regulatory standards and outlines how NiceLabel solutions ensure proper label life cycle compliance. You will learn how NiceLabel integrates the labeling required for life sciences regulations with customers’ existing workflows and business information systems including Oracle, SAP, or another ERP system. This paper will provide companies with varying printing and administrative workflows information on the software tools they need to comply with FDA and EU regulations.